Russian teams were in utterly dominant form claiming all titles on Saturday at the 2019 Leon Lurje Trophy in Gothenburg, Sweden. Team Paradise and Sunrise 1 lead for the moment the Senior and Junior division after the short programs. Sunrise 2 dominated the Advanced Novice category. 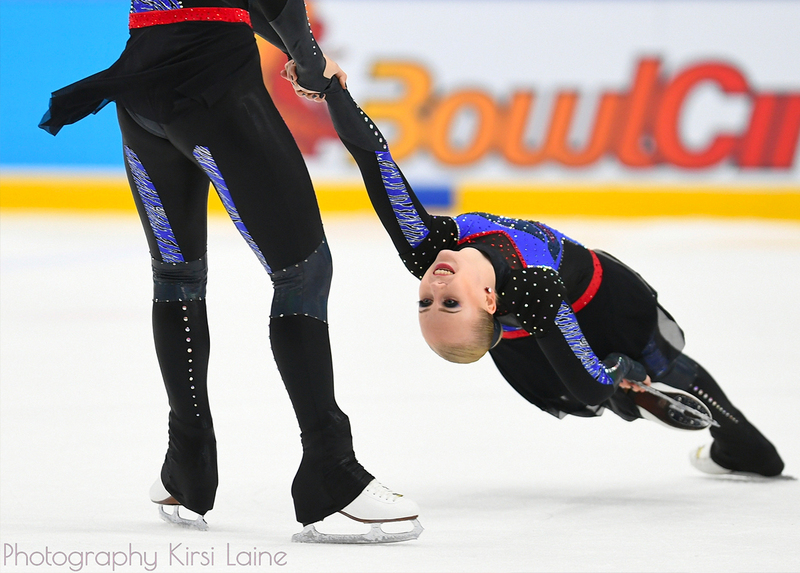 Twelve teams from three different countries competed on Saturday in the Advanced Novice division. Sunrise 2 from St - Petersburg won the competition with a huge score of 72.95 points. The Russian team got a level 4 in the No Hold Bloc Element and also very high GEOs. The team also received 6,15 points for their skating skills (in the Program Components score). Team CrystalBlades from Finland came in second with 58.14 points. Dressed in green, the team skated a clean program in Sweden. 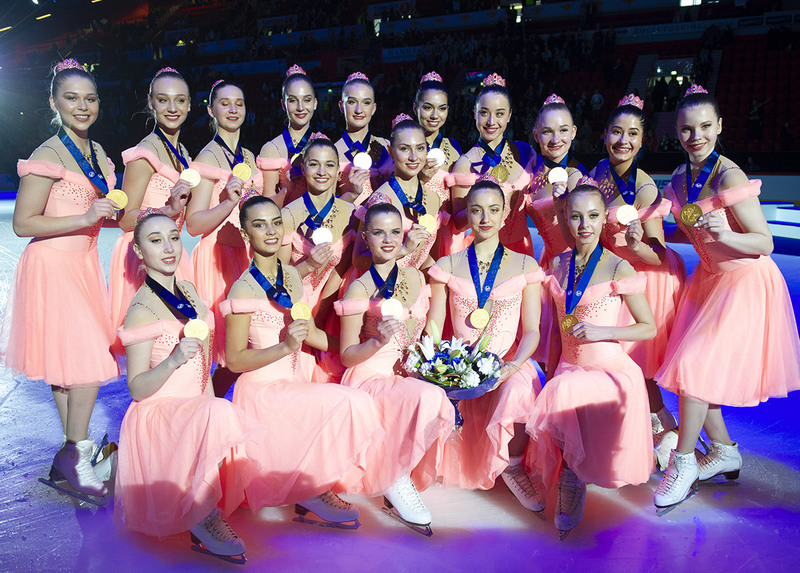 Another Finnish team won the bronze medal: Team Ice Effect from Järvenpää earned 52.61 points in the free program. The team had a fall in the No Hold Bloc Element but reached the level 4 in this element. Missing the podium for 0,40 point, Team Seaflowers from Sweden finished with a total score of 52.17 points. The technical score was a little bit lower. The fiercely competitive Junior division was topped by Sunrise 1, who earned 78.45 points. This score could even be very good among Seniors! The Russians presented a very clean and precise program with impressive synchronized skating spins (level 3). Team Fintastic did not give up at all and performed very well in Gothenburg on Saturday. The Finnish team did, for example, an amazing intersection element and a perfect pivot block. They earned 76.45, which is really not far from the first place. Even with a fall in the last element of the short program, Musketeers finished in third with 71.92 points. The audience was enthusiast with their really expressive and colorful program on the Japanese Cosplay theme. Team Starlights (USA) ended for the moment in fourth place (70.61). In the Senior field, Team Paradise seems to be back in very good shape. 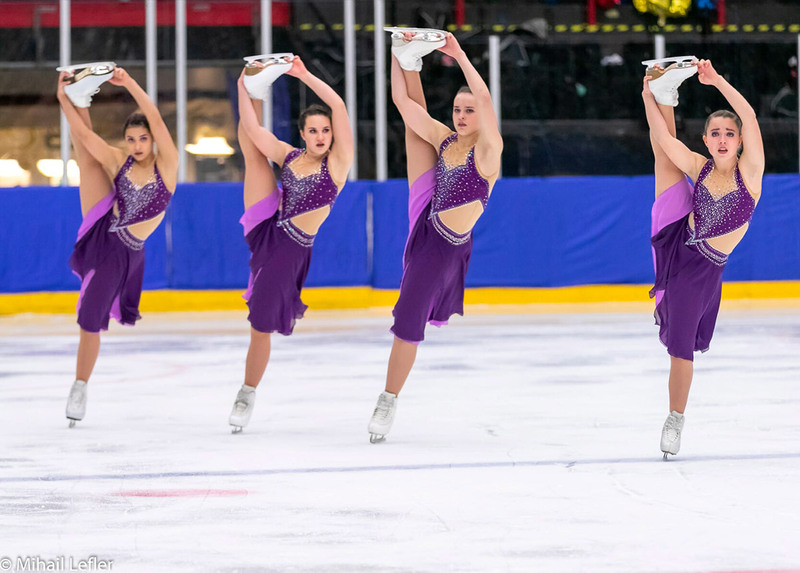 The 2019 National Champion improved its score earned at the beginning of the season at the Finlandia Trophy. With their classical performance, the team got 88.22 points. Its lead over the other teams is more than 5 points. Helsinki Rockettes followed in second after a very emotional short program. Their clean performance brought them a total of 82.67 points. Les Suprêmes Senior slid into third with their special short program on the music "Will you be there?". The Canadian team got 78.50 points. The Haydenettes rounded out the podium in fourth place with 75.05 points. But nothing is finished and Sunday, the teams will present their free programs. Nice surprises are still possible!